Meltemi for Nokia Tablets too? iPad Killer in the works? Magical MeeGo touch? Whilst it may be heavily beneficial for Lumia to have a similar product in tablet form, Nokia may not rely purely on Windows alone. Do you remember this interview we saw back in November? The key part here was Elop hinting that Nokia’s tablets may not just be on Microsoft’s platform. Elop as the CEO cannot reveal Nokia’s future device plans, but he does ever so slightly hint. I think we should also recall his hints on just how much of a leap forward the N8 successor would be, to which it has surpassed everyone’s expectations. In that interview above, we hear of a possible low cost tablet. It’s in Finnish, from kauppalehti.fi . I’m afraid that there might be some error in translation so bear that in mind. A Windows 8 tablet will still exist, but possibly so would a Meltemi tablet. That Meltemi tablet might actually be their first one and would be lower in cost. It will be different from the competition. This might be for emerging markets. Applications will be done in Qt. Finally, Nokia seems to be taking their time to launch an amazing tablet. Elop said in an interview that Nokia is taking the time to do the right thing. They do not want to produce yet another unmemorable tablet that drown in the sea of iPads. There are now over 200 different tablets on the marketplace, only one of them is doing really well. And, my challenge to the team is I don’t wanna be the 201st tablet on the market that you can’t tell from all of the others. We have to take a uniquely Nokia prospective and so the teams are working very hard on something that would be differentiating relative to everything else that’s going on in the market. I read another article earlier today from Forbes who thinks Nokia might be building an iPad killer. I don’t think anything has ever been an iKiller. Not iPod, not iPhone, not iPad. That’s really not the right angle to take and everyone who has tried fails. Not because it is impossible but it’s just not the right approach. The iThings is a game based on Apple’s rules. To win, you must be the one creating the rules, breaking expectations – just as Nokia did with the recently announced Nokia 808 PureView. Forbes contirbuter, Louis Bedigian says that it seemed like only yesterday he was mocking Nokia’s Lumia, but after the appearance of the Nokia 808 PureView, it was hard to criticise Nokia. Nokia had executed a turn around in terms of delivering an exciting product. It excites Nokia fans, non Nokia fans and has fairly earned award and recognitions. Bedigian notes that Nokia took their time with the 808 – 5 years to which we can all agree has been worth it to create that jaw dropping moment when it was announced and even more so when we started to see how and what it could create such amazing audio/visual experience. 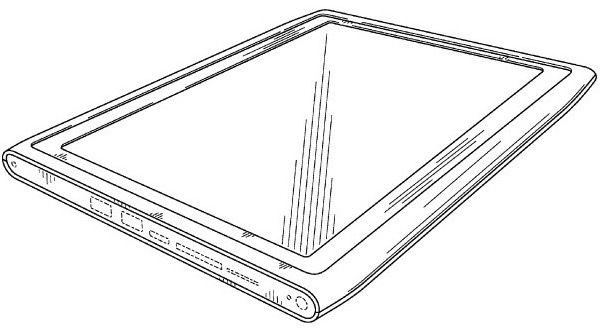 Perhaps, Nokia may have been working on their own tablet for a long time too? We can only hope that Nokia took tablets more seriously than they did with the inception of touch-screen phones. What will Nokia need to do to create a better iPad? Can Nokia excite the world with their tablet? Will it even be this year? Though rumours had suggested Q4 2012 dates, there has been since updates that Nokia’s focus would first lie on phones. Update 1: – something else I’ve seen in a comment by James Scott on the other tablet thread. It seems MS do want to go to the very practical ASUS transformer route. Well actually Lenovo U1. Remember the docking tablet? That turns into a PC when docked. ARM processor for the tablet, Intel processor for the base. You have your keyboard and desktop mode to execute work apps. ARM stuff for on the go. It could look like traditional Windows when docked and with metro tablet form when released. Perhaps it would be possible for the tablet to somehow wirelessly control programmes installed on the Intel version (that might not work on ARM)? Update 2: Someone did tweet me this earlier but I was in lectures and forgot. Anyway, this also further corroborates the idea of the Meltemi tablet. In Turkey, Nokia was invited in a bid to provide 15 million tablets to school children over the four years. I look forward to more disruptions by Nokia on the world. Cheers jiipee for the tip! Cheers James Scott and zymo for additional info! Cheers Muerte for the added translation!